Wash, peel, quarter and core apples; slice as desired. Treat with Fruit-Fresh Produce Protector (prevents browning) according to package directions. Dry pack with or without sugar or use a syrup pack. 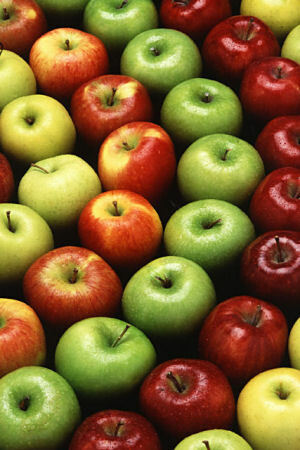 The best way to store apples is inside a plastic bag in the crisper drawer of your refrigerator. To make a 9-inch pie, you will need 2 pounds of apples (6–8 medium apples).